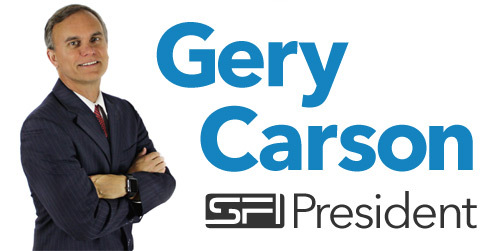 In 1998, Gery set out to "put a dent in the universe" by creating SFI, a ground-breaking program that would utilize the Internet to empower and enrich the lives of millions of people around the world. Today, with 12,707 new affiliates joining in the last week alone, SFI is one of the fastest growing companies of its kind in the world and is well on its way to achieving Gery's vision. TripleClicks.com, launched in January 2009, is an exciting new destination on the Web. TripleClicks currently features 10,795 products and services from around the world--with hundreds more new products added weekly--including collectibles and items available nowhere else, as well as special, exclusive deals, closeouts, and money-saving offers. SFI affiliates can earn handsome commissions promoting the products and services available at TripleClicks. TripleClicks also includes our Pricebenders Penny Auctions, where members can bid on and win hot, name brand products for a fraction of the retail price—typically more than 90% off--and Eager Zebra games that let members compete with friends and other TC members for prizes and recognition on our leaderboards. There's also our free Daily Crown drawing where you can win your share of $1,700 in prizes every day! And for those who have unwanted items items, TripleClicks makes it easy to list and sell your products for cash or trade.